Note: The recipe calls for 2 pounds of diced strawberries, so I suggest you buy 3 lbs of strawberries because you are going to cut the stems off and because sometimes there are some bad strawberries in the package. 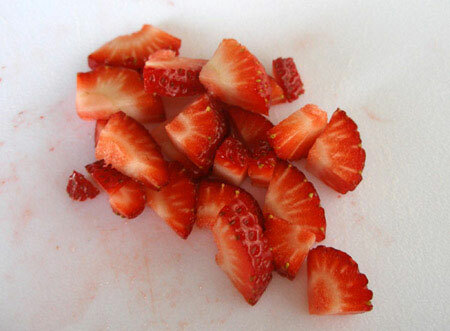 Place the 2 pounds of diced strawberries into a clean jar. Add the vodka, stir well and close the jar. Store the jar in a cool place for at least one month. Stir the strawberries with a metal or wood spoon at least once a week. Note: If you don't have a 750 ml bottle of vodka, you can use 3 cups of vodka. After at least a month of aging, the liqueur is ready to be strained. Get an empty jar or a container and strain the liqueur with a fine mesh strainer. Caution: Do not use a coffee filter. You won't be able to filter the strawberry liqueur. Note: The liqueur is not going to be completely filtered. There is going to be some residue which it's OK. Boil 750 milliliters of water or about 3 cups of water. 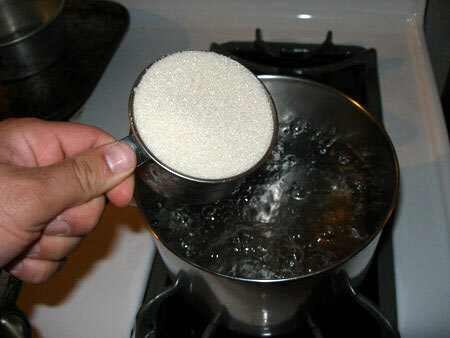 Add the sugar and stir constantly until all the sugar dissolves completely. Let the simple syrup cool down and add it to the strawberry liqueur. Note: Some strawberries are sweet and some are not as sweet. If the strawberries that you are using are really sweet, you could make the simple syrup with 1 cup of sugar instead of 1 ½ cups of sugar. 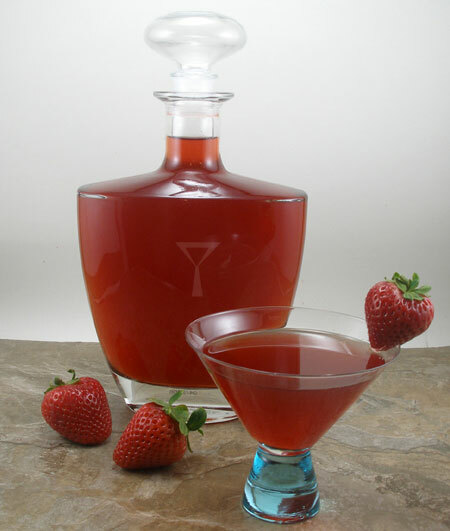 This strawberry liqueur recipe yields about 1 ½ liters of liqueur. 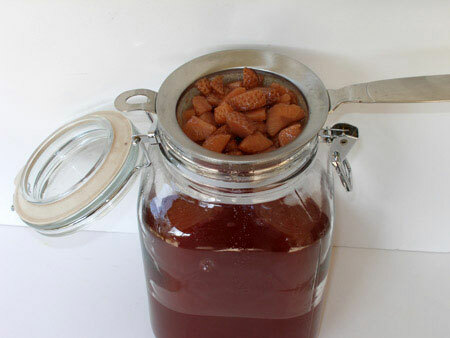 The liqueur could be stored in an empty 1.5 liter bottle or two 750 ml bottles. 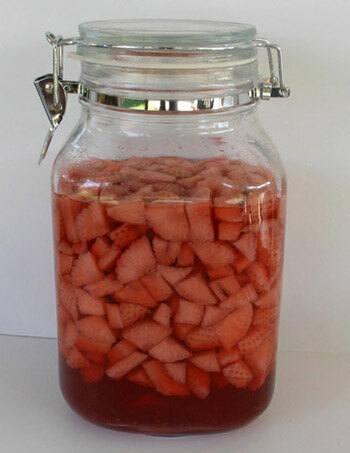 The strawberry liqueur can be used in making several mixed drinks. It could also be served on the rocks. Note: Make sure you shake the strawberry liqueur well before serving.